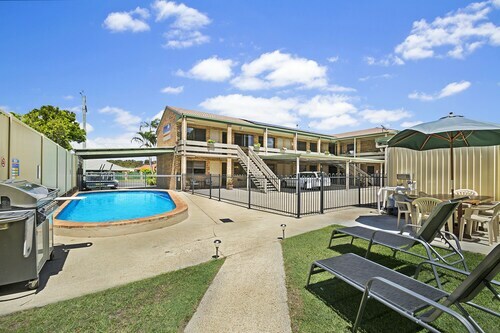 Our Caloundra accommodation is perfect for a relaxing getaway or a family holiday, with family-friendly hotels and two and three-bedroom accommodation. The waters of Caloundra's beaches are sheltered and safe for children, and the area offers great parklands and many opportunities for alfresco dining on the foreshore. Get close to nature, while staying in our Caloundra accommodation, by visiting the Pumistone Passage Marine Park, which is the stretch of water between Bribie Island and the mainland at Caloundra. Explore the Pumistone Passage, either by kayak or cruise, and see the extensive sections of mangroves and more than 350 species of birds. The area offers world class fishing, calm waters for swimming and coastal paths with many great picnic spots. While staying in our Caloundra accommodation explore the magnificent Glass House Mountains by driving the Glass House Mountains Tourist Drive, or by following one of the many bushwalking tracks. The area is also popular for rock climbing and abseiling. There's plenty to do while staying in our Caloundra accommodation: Skydive and land on the beach; dare to ride the Bungy Bullet or test your racing skills at the Big Kart Track; get a thrill on the rides of side show alley and visit the Ettamogah Pub at Aussie World; or see the crocodile feedings at Australia Zoo. Or visit the Queensland Air Museum and sit in the cockpit of a jet fighter and learn about aviation history. While staying in our Caloundra accommodation, treat your taste buds to the variety of food available. Tree-lined Bulcock Street offers many dining possibilities, from Asian to Greek and Italian,to cafes. Culinary highlights include: The award winning Caloundra RSL; Alfie’s on the Beach, owned by NRL great Alfie Langer; and Café Mediterranean, which was voted Queensland’s best café. Or visit the nearby town of Maleny which boasts The Big Barrel Winery and cheese and dairy producers. While staying in our Caloundra accommodation browse the Sunday markets on Bulcock Street with 100 stalls selling local produce and arts and crafts. Or visit the Caloundra Regional Art Gallery showing works by established local and national artists. Or check out the Walk of Stars, with plaques commemorating Australian music greats, which stretch along Bulcock Street from the rock 'n' roll themed Velvet Waters restaurant. Nearby, you can visit Moffit Beach. If you'd like Moffit Beach accommodation, we have fantastic deals. Need insider tips on must-see attractions in Caloundra? Check out our Caloundra travel guide! How Much is a Hotel Room in Caloundra? Hotels in Caloundra start at AU$115 per night. Prices and availability subject to change. Additional terms may apply. Really enjoyed our stay kids pool is HEATED AWESOME. Breakfast not really worth paying extra for. Very nice basic property. Toilet paper wasn’t very good. And I would have liked a box of tissues in the room. Other than that it was clean and quiet and handy for our purposes. The property was clean and tidy, there was not room servicing and it was not a cheap hotel. The only issue was their Wifii kept dropping out but that may be normal for the area. Other than that my stay was pleasant.